Welcome to the South Dakota Chapter of The Wildlife S ociety! Grant Opportunities: The South Dakota Chapter of The Wildlife Society offers a Student Travel Grant to help pay for attending a national or state TWS Annual Conference. The Chapter also offers a Student Membership Sponsorship Grant which will cover student annual dues for membership into TWS if you are a student board member of a Student Chapter of TWS in South Dakota. For more information of how to apply for either grant, click here. Find the South Dakota Chapter of The Wildlife Society on Facebook. For current information from the Central Mountains and Plains Section of The Wildlife Society visit their website. To develop and promote sound stewardship of wildlife resources and of the environment upon which wildlife and humans depend. To undertake an active role in preventing human-induced environmental degradation. 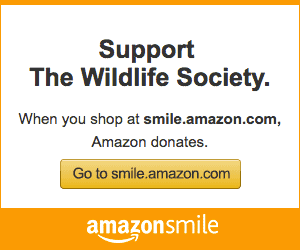 To increase awareness and appreciation of wildlife values. To seek the highest standards in all activities of the wildlife profession. Provide opportunities for better liaison among individual members, their Section, and The Society. Evaluate and respond to the principles involved in proposed or enacted societal actions that could affect wildlife or its habitats. Recognize and commend outstanding professional achievements in maintenance, restoration and enhancement of habitats for wildlife. Focus the aims and objectives of The Society and the Central Mountains and Plains Section upon professional wildlife needs, problems, and events in local situations. Encourage communication between members and nonmembers to facilitate understanding and effectiveness of research and management of wildlife resources. Evaluate the principles involved in proposed or enacted public or private actions that could affect wildlife and to make these evaluations known to the public and public officials.